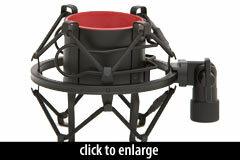 The new Shure A300SM shockmount is one of the coolest shockmounts I’ve ever seen. To introduce it, I’ve put together a quick video demo, and interviewed John Born, Shure’s Product Specialist for wired microphones, to learn more about the development of the mount. The first thing you’ll notice is that the shockmount uses cable instead of elastic. Two questions leap to mind: is it sturdy enough to prevent mic sag, and does it really absorb mechanical vibration? I answer the first question in the video. John answers the second in his description of the shockmount’s development. The new shockmount is unlike any I’ve seen before. How did it come about? During our acquisition of Crowley and Tripp in 2009 we knew they had amazing ribbon microphones, but their mounting solutions left room for improvement. We didn’t have time to address the issue during the acquisition, but we knew it would be a follow-up project when the acquisition was complete. We first redesigned the bottom connector of the mic to accept our ShureLock® thread design so the mic will securely stay in the mount regardless of orientation, but we were hesitant to use the traditional elastic bands or rubber O-rings due to the weight of the mic. This was a big motivator to not use elastic bands or rubber O-rings. We didn’t think these mounts were suitable for such a heavy and elegant mic. Our director of mechanical engineering had previous experience shock-mounting large military equipment using wire rope, but we had no idea if it would work well with a microphone. Our mechanical and industrial designers started exploring ideas using wire rope and came up with a few concepts. We fell in love with it immediately, but weren’t sure it would work, so we started prototyping and testing. Can you tell us in more detail about the development process? For example, how many different types of wire rope did you try, and what was the test procedure? We tried multiple wire rope types and a few different lengths. It was very much a trial-and-error approach. The initial industrial design rendering had orbital rope rotating around the mic which looked amazing but simply didn’t suspend the mic in the cage, so we explored other routings and we found the “U” curve to suspend the mic well. Shockmounting is a balance between too compliant and not compliant enough. 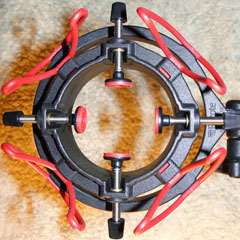 Too loose, and the mount is floppy and bottoms out; too tight and it won’t isolate well. It’s a delicate balancing between those two extremes. For a ribbon microphone you want the most movement of the mount to be in opposite direction of the ribbon which further complicates the design. We use a few methods when evaluating the effectiveness of a shockmount. For an objective test, we use a vibration table that can measure the output on a transducer under vibration. 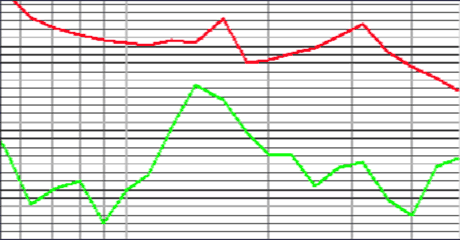 The Vibration table performs a low pass sweep and outputs a graph. This is a good data point to have but it’s not the only one we use. 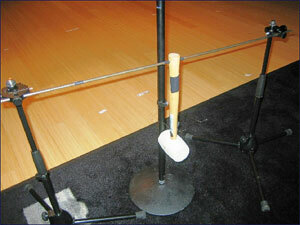 We also use subjective testing in which we purposely hit the mic stand consistently (with a crude-but-effective rubber mallet fixture; see photo) and measure the impulse while also evaluating the sonic quality of isolation. Lastly as a gut check, we simply record the mics using a hard mount and a shock mount while someone (usually me) jumps around on the floor, hits the mic stand, hits the mic, waits for a train to go by, etc. to evaluate the subjective degree of improvement using the shockmount over the hard mount. After benchmarking our current mounts and some competitive mounts, we had a measurement to strive for. We took the mounts into our Performance and Listening Studio and evaluated them in a typical recording environment using the subjective impulse test. Cosmetics and manufacturability of this mount were not easy tasks. I think we pursued four different finishers to try to achieve the consistent finish we required, and a few different metal types. Matching all of the finishes on each part is always difficult and because all of our accessories go through environmental testing and drop tests, they need to survive in very extreme conditions. We had to be certain that the mount and mic would perform well after multiple stand drops and in our moisture resistance chamber. We even had custom set screws made that would perform to our standard while still maintaining our required finish. At the end of the day, we simply didn’t want another elastic shock mount for this product. We could have retrofitted another shock mount from our product line faster and cheaper, but it wasn’t the right thing to do. We knew we could make a better, more robust shock mount, and I’m proud to work for a company that supported that decision. I never thought I would devote 1.5 years to develop a simple shock mount, but often it’s the accessories that can make or break a product. We will never repay the project costs on this mount, but the A300SM shows the devotion in delivering the absolute best product we can to our customer. 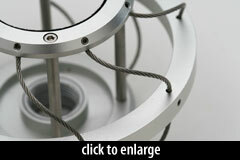 Are there plans to revise all the other shockmounts to replace elastic with wire rope? We don’t have immediate plans to put wire rope into any existing products, but for future products, I think wire rope will be a very viable option, especially for higher priced microphones. John, thank you for taking the time to tell some of the backstory on this new mount! 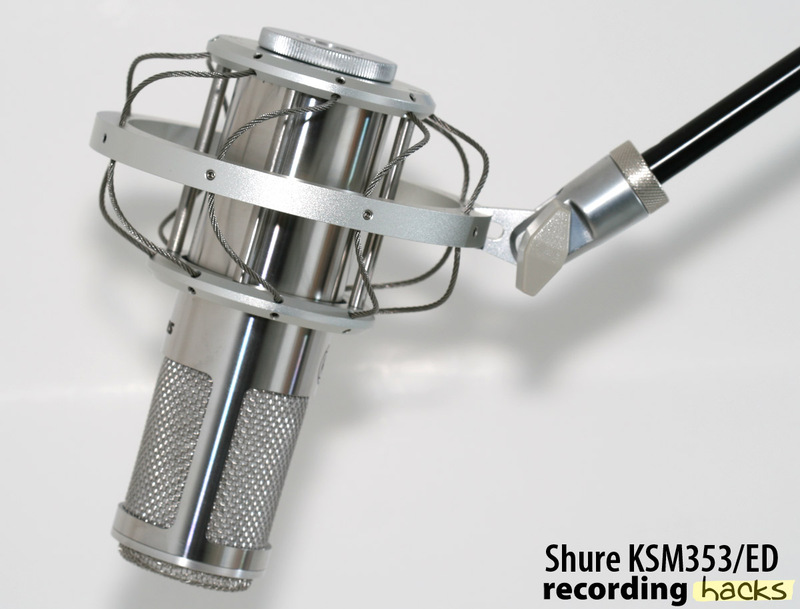 Owners of Shure-branded KSM353 and KSM313 microphones are potentially eligible for a free upgrade to newer mounts. Sadly, the awesome A300SM is not part of the program, because the original KSM353 mics can’t be screwed into the A300SM base. 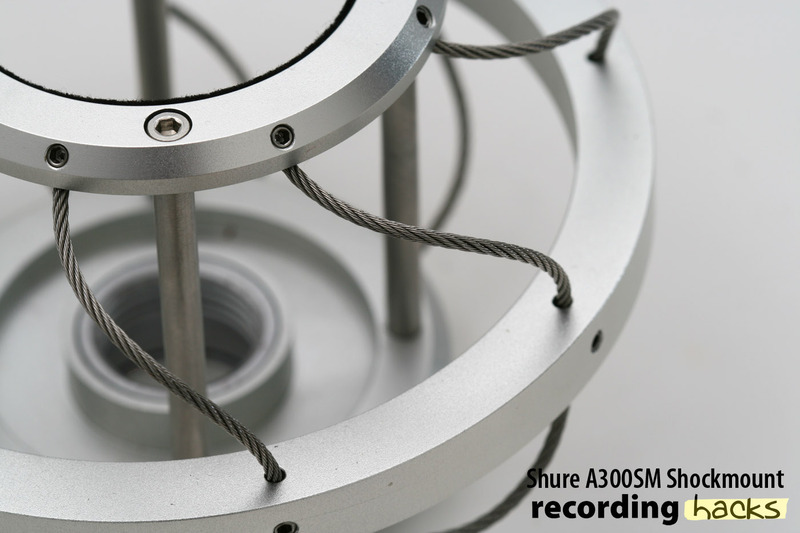 But Shure has come up with a friction mount that is a definite upgrade from the stock part; it’s their A300RSM, and it’s actually made by Rycote. Having fumbled with and cursed at the “monacle mount” that came with the original KSM313, I’m excited to note that Shure offers a free upgrade for that, too. 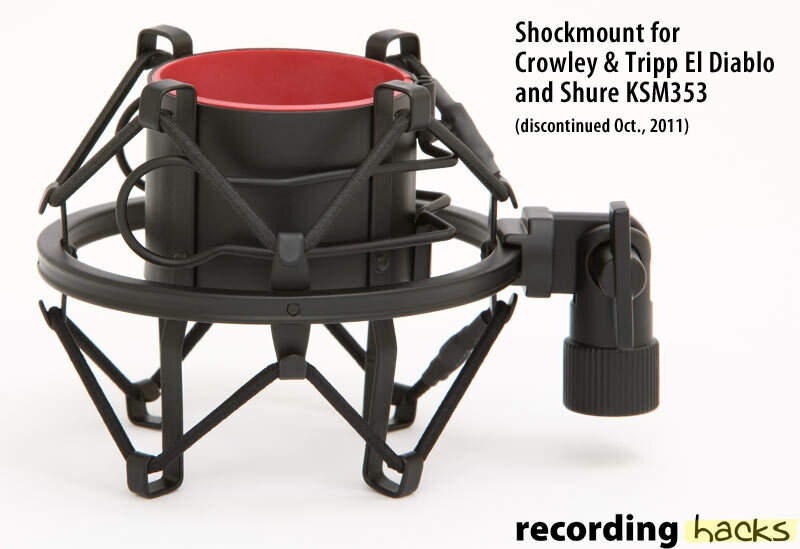 The new A300M Swivel Mount is a ring-style mount that supports the easy rotation of the KSM313 mic without being so awkward to assemble and use as the monacle. This looks great! 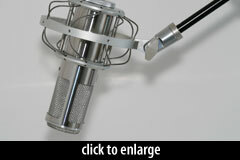 I wish more microphone manufacturers would implement better designs like this one. Hello, I am in need of more information of this microphone KSM353/ED, i will be using it in a Gesell Dome Studio, where this mic will be hidden from the sight of the childs that will go in there to be interviewed by a psychologist. So I need to know, if i will be able to capture all the sounds that the kid will be making, like breath, and wisspering. It will be hidden into a lamp like 3 feet higher than the kids mouth from the roof. please be kind and answere me as soon as you can. 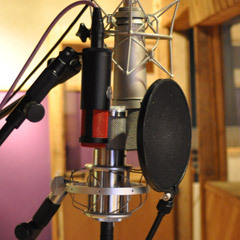 @Alvaro, I would not recommend any passive ribbon microphone to record whispering from a distance. I would recommend hiding miniature omnidirectional microphones in several places in the room.